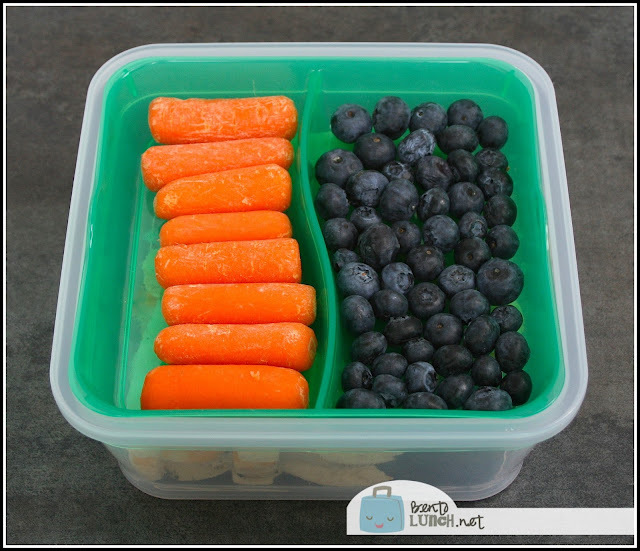 Last year, we worked with Snapware for a back-to-school post and giveaway. Fast forward to this year, and we are still using all our Snapware containers. They are absolutely my favorite fridge containers since they seal so tightly. I save leftovers in them, I sent lunch to work with my husband in them, I use them for chopped fruits and veggies, pretty much everything. Needless to say, we are more than happy to be sharing Snapware products again this year, both in our kitchen and a set for one of our readers in the giveaway at the bottom of this post. 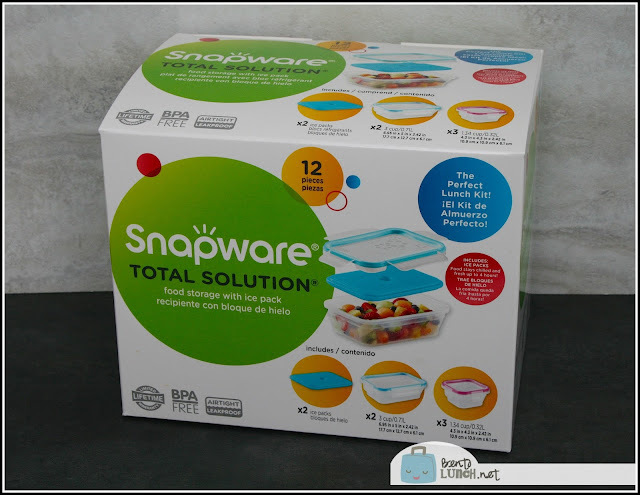 We decided to use the Snapware Total Solution On the Go 5 Cup Plastic Square with Divided Tray, since we liked the idea of the shallow upper tray to separate some fruits and veggies from the rest of the meal. For this lunch, we kept a simple idea to show how versatile these boxes really are! 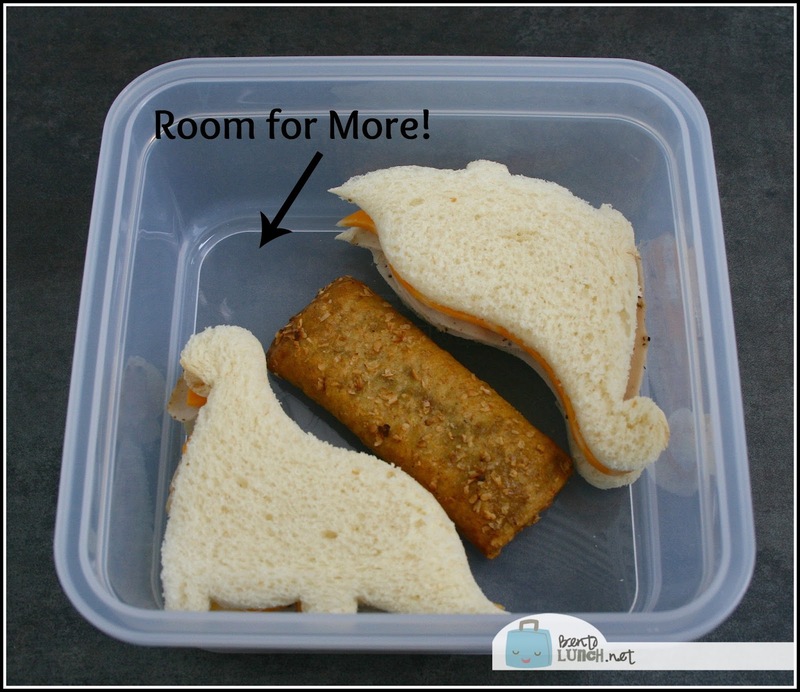 The bottom (deeper) box holds a turkey and cheese sandwich on white-wheat, cut into half with our dinosaur cutter. The dinosaur cutter only trims the very edges of the crust off, so it's very close to cutting the average sandwich on a diagonal. In between the two dinosaur halves, I added a cereal bar. The top tier holds both baby carrots and blueberries in this lunch, but it's awesome for when you have messier fruits and vegetables, since the top tier keeps them separate from the rest of the food. No one likes soggy sandwiches! This year, we're also check out the Snapware Total Solution On the Go 5 Cup Plastic Square w/Ice Pack, a similar size to the two tier box, but swap the upper tray for a built in icepack, and the Snapware Total Solution On the Go 12-Piece Plastic Value Pack, with two rectangular containers with ice packs and three smaller swear containers, perfect for fruit salad sides. The smallest ones hold a little over a cup (1.3 cups specifically) and I love them for so many items! They actually may be my favorite size for my own food. Would you love to try out Snapware? We have a great set to give to one of our readers (open to US and Canada)! 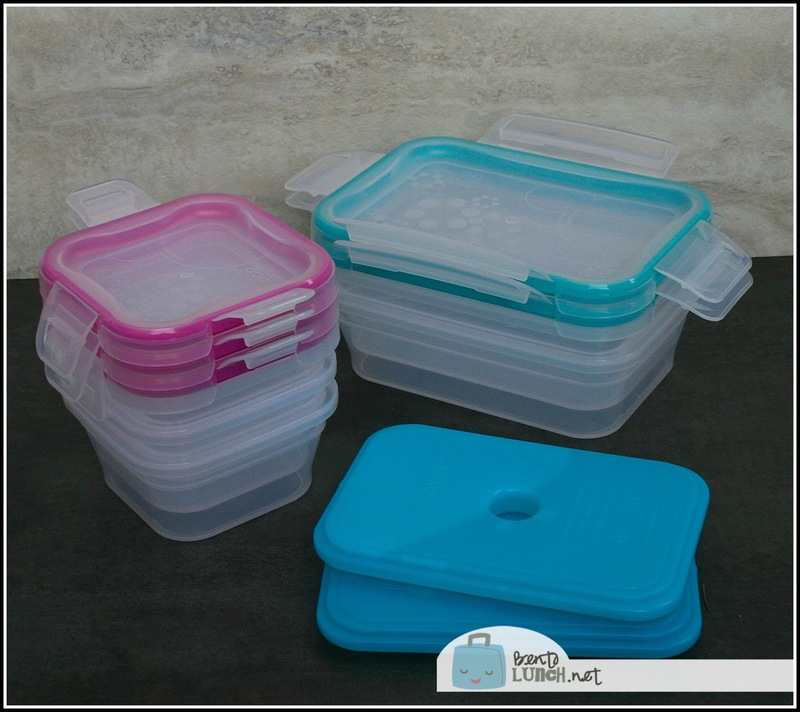 The set includes the On the Go 12 Piece Value Pack (so two rectangular containers with ice packs and three of my favorite small square containers), the On the Go 5 Cup Plastic Square (large square with ice pack) and the On the Go 5 Cup divided tray (pictured above with our bento lunch). To enter, just use the Rafflecopter below and tell me what your favorite thing to pack in a lunch is! For extra entries, you can tweet about the giveaway. Disclosure: World Kitchen LLC provided me with product and compensation for the purposes of this post and giveaway. All opinions are my own. Hmm, if I had to pick one thing I would want in a lunchbox it might be springrolls or wraps of some kind. I love those things, of just about any & every type. The asian styles are my favorites. I like to pack a cheese sandwich and a fruit salad. One of my favorite things to pack in a lunchbox, turkey wrap, string cheese and grapes. Cheese, crackers, meat, & pickles! My favorite used to be yogurt but that was years ago! I will find out I guess with my girls entering K in a few days! 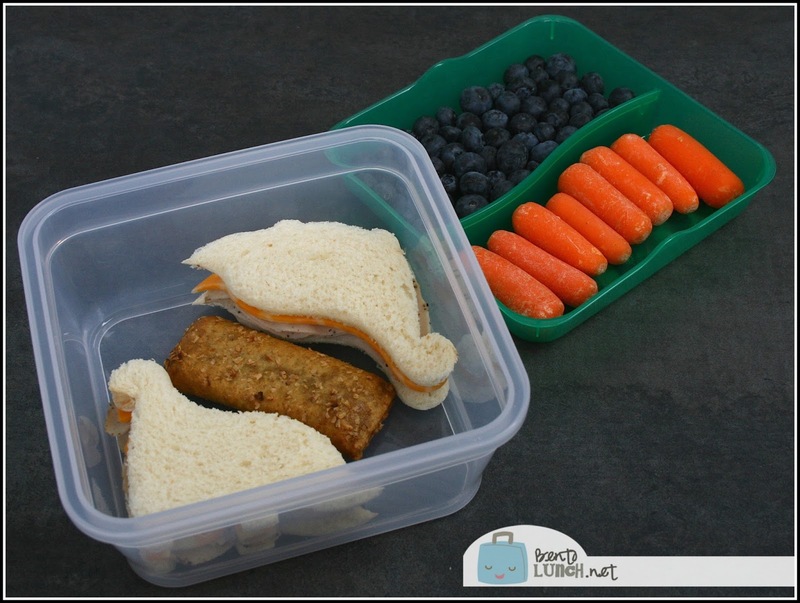 My favorite thing to pack in a lunch box is a sandwich with fruit! I love to pack DIY Lunchables! My favorite thing to pack is a treat my kids would least expect. I love to try and surprise them at least once a week. Cheese, crackers, veggies. Repeat! Maybe add some soup in the winter. I like to pack and sandwich with fruit.